Step-by-step guide how to build a business case and get approval for MDM implementation. a. Project Profiles and Roadmap Milestones b. Synchronize MDM Strategy with Enterprise BI Strategy c. Provide MDM Strategy and Roadmap to Enterprise BI as input to EBI strategy. 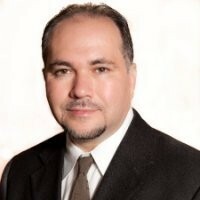 Creative, hands-on executive of Business Intelligence with consistent record of Master Data Management/Data Governance, Data Quality Measures, Data Warehousing and Advanced Analytics to perform global data operations, regression modeling, “what-if” analysis, and activity-based management metrics to facilitate revenue growth and predict outcome of key business indicators. Expertise includes implementation of Continuous Analytics and Big Data to provide operational/web events analysis, fraud detection, and resource cost reduction. 19 year experience in requirements analysis, data transformation, load strategies, data sharing, data propagation, data mining, report design and query optimization. Expertise in gap analysis, capacity planning, resource utilization, budget management and forecasting.